Now, who's going to buy Facebook? News Corporation’s acquisition of MySpace back in late 2005. Time Warner’s chief executive Jeff Bewkes went on record earlier this week hinting at the deal, saying: "Would something really added to AOL, or AOL added to something else, make it stronger and more valuable? We can't rule it out… It's our obligation to try to make sure AOL gets in whatever configuration makes it the strongest and the most valuable." AOL chairman and chief executive Randy Falco is particularly happy with the ‘monetization opps’. He says of the deal: "Bebo is the perfect complement to AOL's personal communications network and puts us in a leading position in social media". Time Warner to sell AOL? However, it’s rumoured that AOL’s parent company Time Warner may well still be looking to sell or spin off AOL. TechRadar has contacted AOL for further comment today, so stay tuned for updates. Joanna Shields, Bebo’s president, said of the deal: "AOL understands the shifting dynamics of the web and has clearly demonstrated its commitment to leveraging the ever-increasing power of social networks. 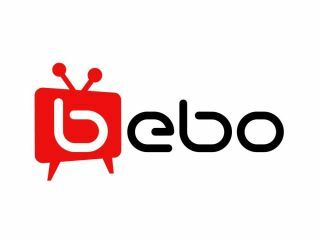 "With one and the same vision in this area, it was a natural progression for Bebo to join AOL, and we look forward to working together to continue to expand the online social experience globally."